Rare card Looking south on Reading Road. Building on left not changed much alatough the post office is now the Llyods TSB. The west the side has completely changed none of the building on photo remain. Robert Craig and Cedric Pettitt of Craig's Dairy which used to be along Reading Road in Henley. 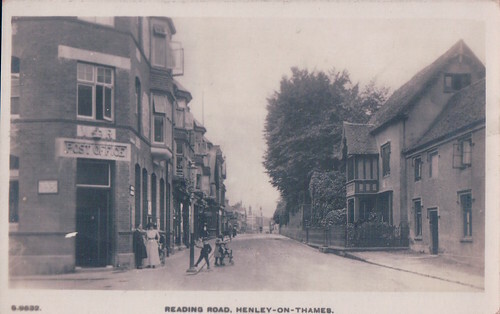 Caxton Terrace near Reading Road in Henley. A nice view of a very quiet traffic-less road in Henley.